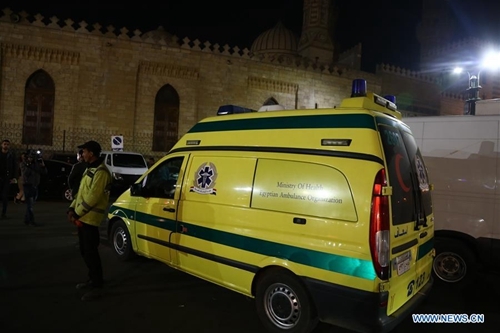 A terrorist and two Egyptian policemen were killed Monday in a bomb explosion in the old quarter of the Egyptian capital Cairo, the interior ministry said. In a statement, the ministry said a bomb that was in the possession of the terrorist went off right after police forces captured him in Cairo’s al-Darb al-Ahmar district. Three police officers were also injured in the bomb blast, the ministry added. 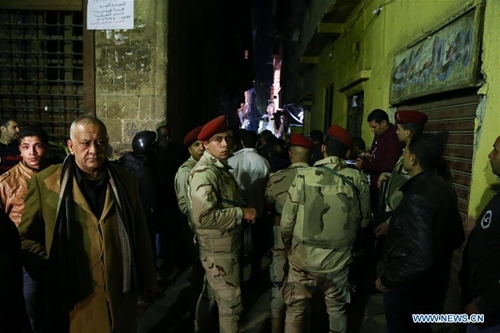 The terrorist was involved in the thwarted attempt to target a police patrol with an improvised explosive charge in Giza province on Friday, the statement said. 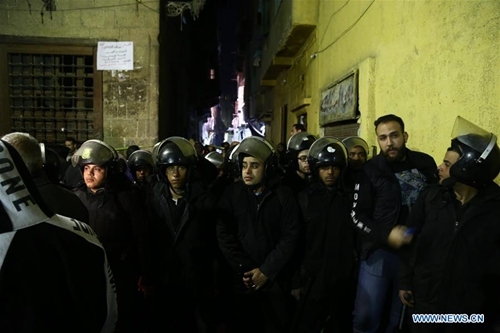 After investigation and search operations, police spotted the location of the terrorist who was hiding in a local area in al-Darb al-Ahmar district of Cairo, the statement said. According to the statement, police forces surrounded and captured the terrorist, but one of the bombs he obtained exploded, leaving him and two policemen dead. 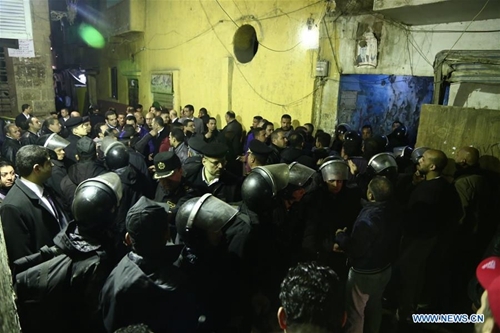 Terrorism rose in Egypt following the military ouster of former Islamist President Mohamed Morsi in July 2013 in response to mass protests against his one-year rule and his currently banned Muslim Brotherhood group. 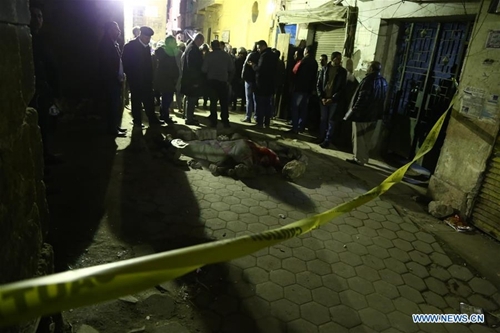 Terror attacks gradually expanded from North Sinai province to other provinces including the capital Cairo, and started to target the Coptic minority via church bombings and shootings.